Congratulations! Now for today's review. 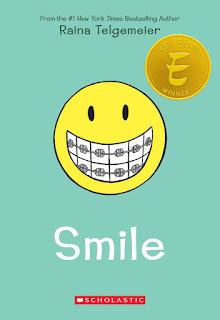 For MMGM, I am recommending Smile by Raina Telgemeier. It's hard to believe how popular Smile still is, even though it was published over nine years ago (in February of 2010)! Not only did Smile shoot its author Raina Telgemeier to fame (see my post about seeing her at NTTBF here and my ancient review of her newer book Ghosts here), but it essentially created the entire genre of slice-of-life graphic novels (which is now booming, as seen here, here, here, here, here, here, and here)! If you've somehow avoided reading Smile for nine years, you might have wondered if it actually holds up to the endless hype. The answer is a resounding yes! 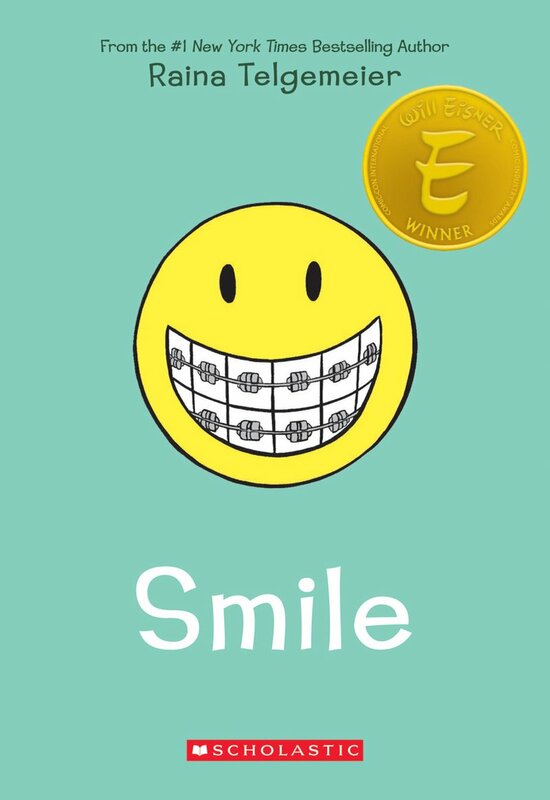 Smile is a memoir of Telgemeier's experiences in middle and early high school. Besides dealing with crushes and mean friends, Raina also experiences an unfortunate incident that damages her front teeth. 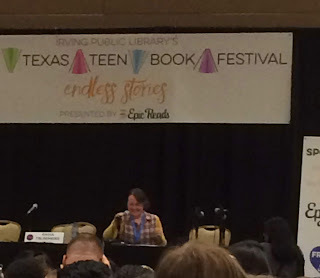 Over the course of the novel, she deals with braces, fake teeth, and countless procedures and doctors' appointments (as well as the self-consciousness that comes with having damaged front teeth in middle school). Although most people may not have had the exact same dental issues that Raina has in the book, virtually everyone can relate to both endless doctor trips for an ailment and self-consciousness about having an ailment that no one else has (or at least, that you think no one else has). And yet, very few books actually deal with these all-too-common feelings. Telgemeier does a great job of making this childhood issue into something understandable, relatable, and even gripping for any reader. 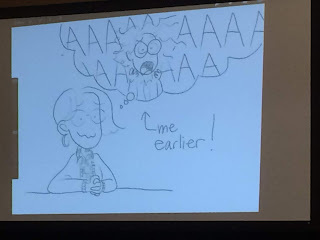 In addition, Telgemeier's depiction of her experiences in middle school are definitely all too familiar to readers who are/were in middle school, who will appreciate knowing that they weren't the only ones who were stressed. Smile benefits from an excellent narrator and main character, Raina, as well. Raina has a personality and interests that make her feel like a real person (which, of course, she is!). She makes mistakes during the book, but she also learns from them and grows throughout the story. Another thing that I love about Smile is how well-developed its setting is. 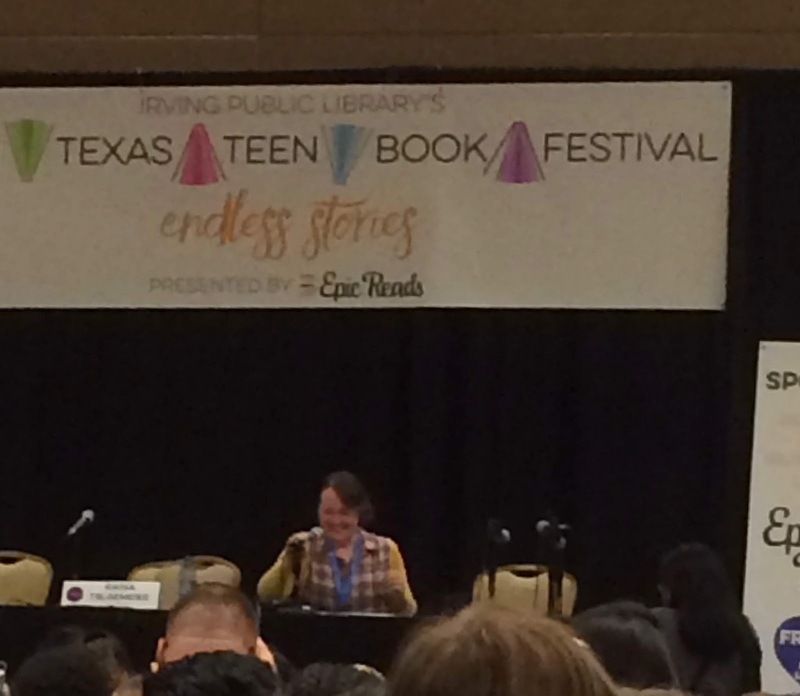 Telgemeier includes all sorts of details that show readers what it was like to grow up when and where she did (such as getting to see The Little Mermaid when it was released or experiencing the 1989 San Francisco earthquake). Finally, Telgemeier's artwork is absolutely excellent. Just as in her newer graphic novels, the art in Smile is imbued with all sorts of emotions and feelings that instantly convey the mood of the story. If you have never read Smile, I implore you to pick up a copy. 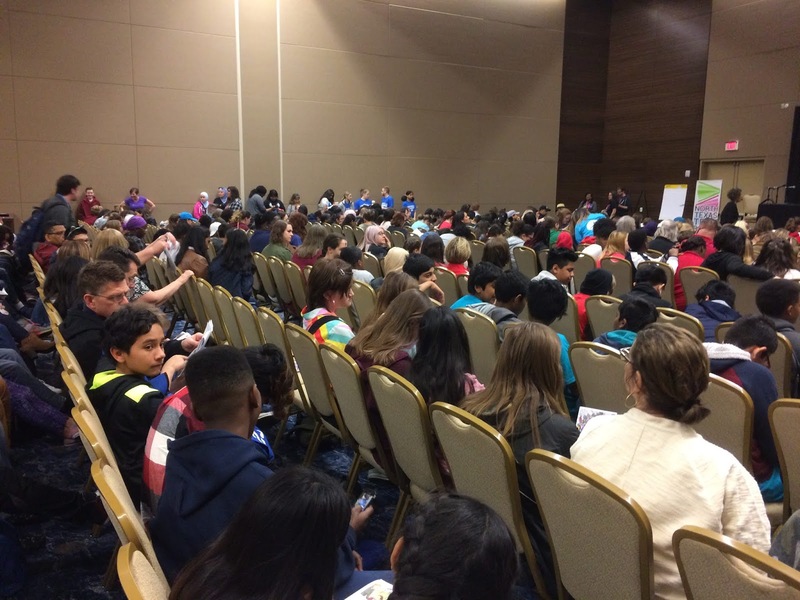 It is one of the few books that will leave a lifelong impact on any reader, just as it has on the massive numbers of children and adults that have read it over the years. First of all, I would like to remind you that the Spring Signed Book Giveaway ends on Tuesday morning! Be sure to enter today (Monday) to ensure that you get in before the giveaway ends. Enter using the form at the bottom of the linked post. A little over a year ago, I wholeheartedly recommended the first book in this series, Nevermoor: The Trials of Morrigan Crow, which has gained widespread acclaim and is even being made into a theatrical movie! 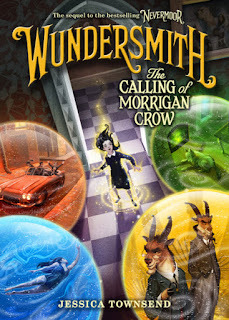 In this second book in the series, Morrigan has finally gotten into the Wundrous Society, a prestigious school where children with unique talents learn how to harness and hone their skills. All is not well and good for Morrigan, however, as her talent, which has an unfortunate stigma, unnerves other members of the Wundrous Society, both in her year and in others. She is prohibited from taking nearly every class (except for one about how her talent is evil), and it doesn't help that she and the other members of her year are being blackmailed. To make matters worse, members of the Wundrous Society start disappearing, and all eyes are on Morrigan, who is forced to try and figure out the cause of the disappearances while proving that she was not involved. 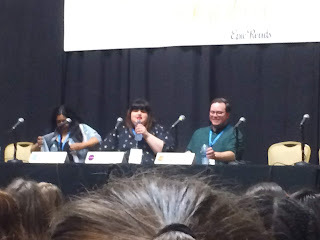 One of the best parts of Wundersmith is that author Jessica Townsend does a great job of putting her characters through the wringer while also giving them plenty of chances to have fun and enjoy themselves. Although Morrigan faces the enormous set of challenges mentioned above, she still has the company of her guardian, Jupiter North, and her best friend, Hawthorne. She is also just discovering the extent of the wonderful things throughout Nevermoor, ranging from fun holidays and yearly festivals to daily pleasures (such as traveling around the city by hanging off what is essentially a zipline). Townsend also gave Wundersmith great pacing: the plot moves quickly, with new challenges and developments constantly popping up during the novel. 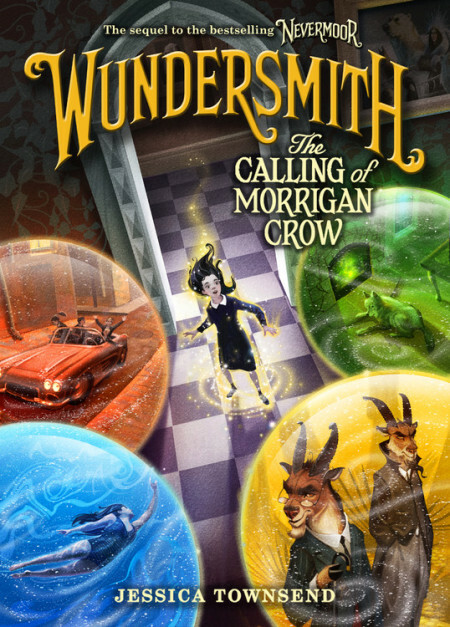 As I mentioned in my review of the first book, the characters are still awesome and weird (and there are some great new ones as well), and Wundersmith also ends with a one-two punch of twists, both of which will leave you thinking, "Of course! How did I not think of that?" While you should definitely read the excellent Nevermoor first if you are interested in the series, rest assured that Wundersmith is a fabulous sequel that only cements the excellence of this new series! 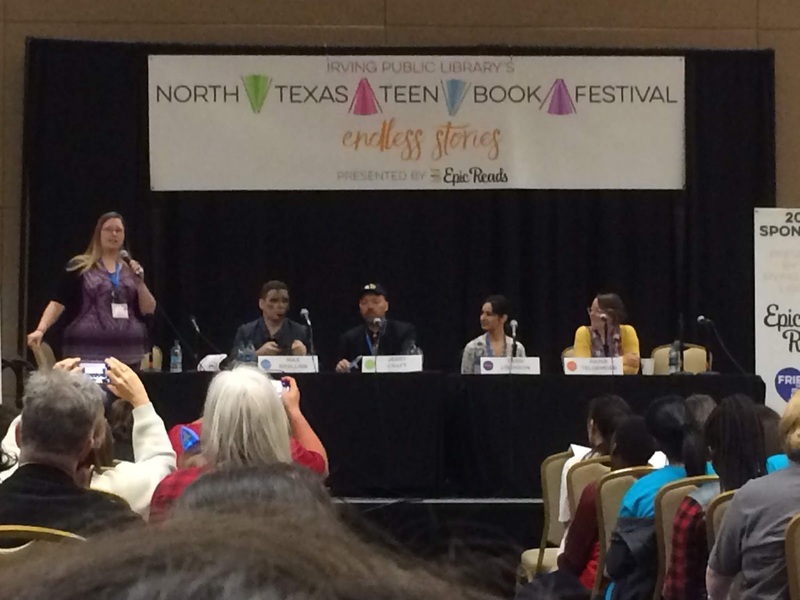 My time at NTTBF 2019, and the Spring Signed Book Giveaway! As happened last year, the second semester of school for me has been busier than I can even wrap my head around, meaning that I have been unable to post for about two months. I cannot guarantee a reasonable posting schedule until the summer (Two more months! Two more months! ), but I do have a post for you today. I want to tell all of you about my experience at the North Texas Teen Book Festival (NTTBF) 2019, and I have a giveaway of FIVE signed MG and YA books for you all! 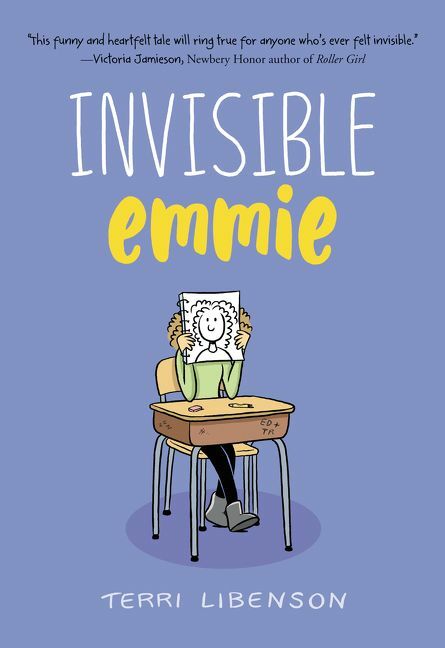 First, you can win a signed boxed set of Invisible Emmie and Positively Izzy by Terri Libenson. 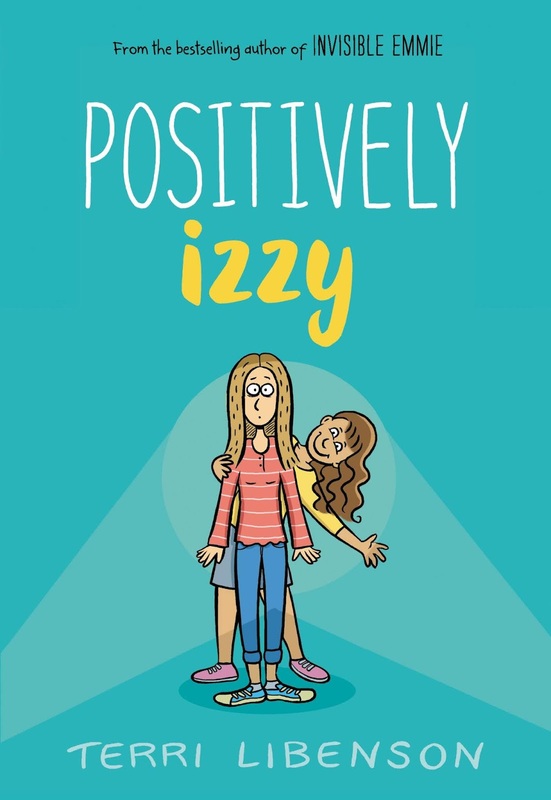 Although I have not yet read Positively Izzy, I was a big fan of Invisible Emmie, which features a relatable main character (Emmie), a unique combination of comic panels and illustrated prose, and a great twist at the end (read my review here). Note that I am giving the entire boxed set to one person, since no one wants half of a boxed set. Next, I have a signed copy of Ghosts by Raina Telgemeier! 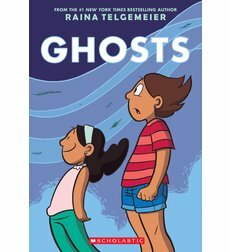 I love all of Telgemeier's graphic novels (don't be surprised if you see a review of Smile in the near future), but Ghosts is my favorite. It is one of the first books I ever reviewed (read my review here), but I still reread it due to its gorgeous artwork, its relatable, flawed, and admirable main characters (Catrina and Maya), and its masterful blending of topics such as cystic fibrosis and Día de los Muertos into a cohesive whole. 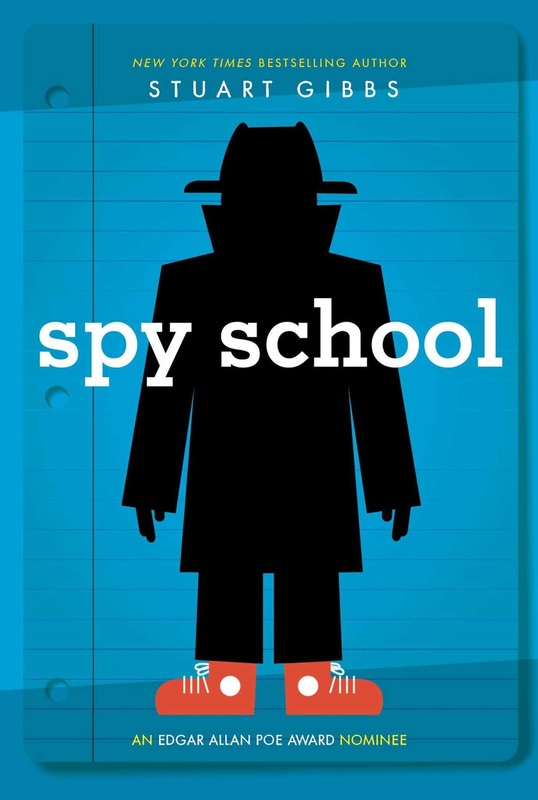 The only signed book in this giveaway that I've never read is Spy School by Stuart Gibbs. I remember that it was a favorite of other MMGM bloggers, though, so I grabbed a signed copy to give away. I also have two signed YA books for this giveaway. 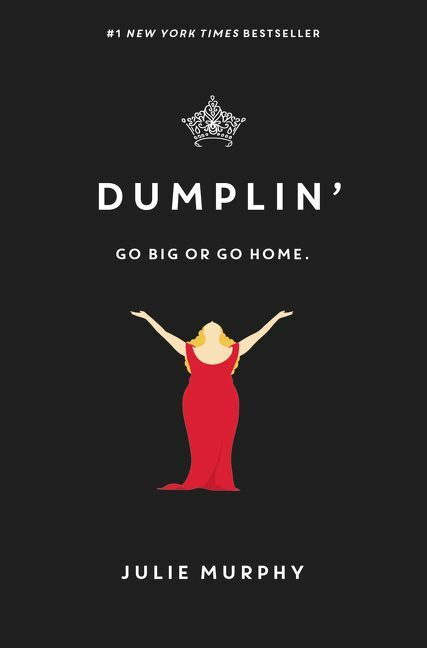 One is Dumplin' by Julie Murphy. I love this novel (which happens to be massively popular and was adapted into a Netflix movie) for so many reasons. 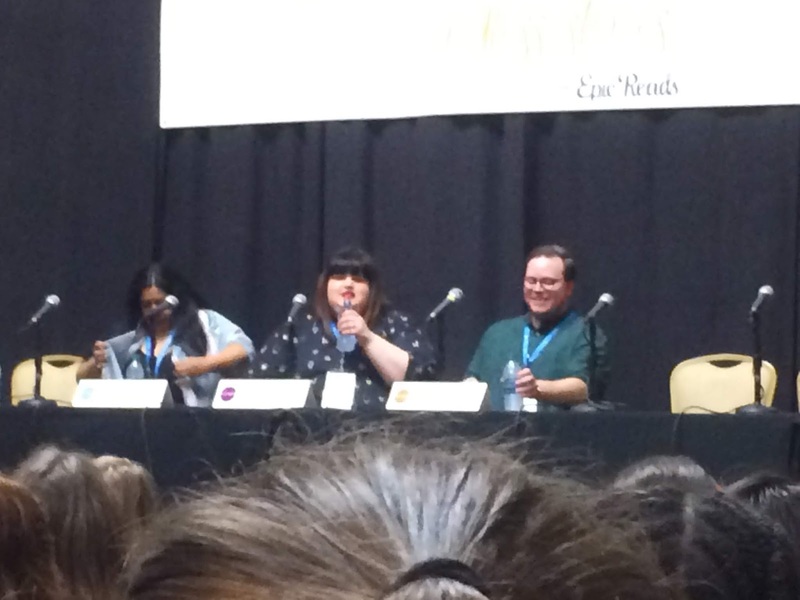 It features a diverse cast (people of all sizes, races, and orientations), thoughtful handling of topics such as obesity, a main character (Willowdean) that is simultaneously self-confident and insecure, and a fast-moving, exciting, and even shocking plot. 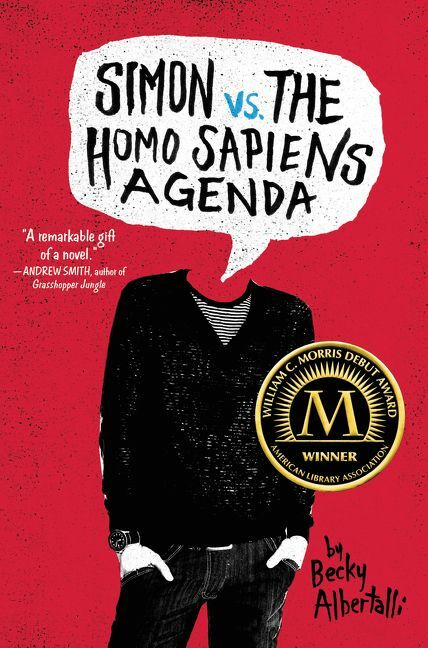 Finally, we have a signed copy of Simon vs. the Homo Sapiens Agenda by Becky Albertalli. This novel also happens to be massively popular and was adapted into the theatrical movie Love, Simon. I adore this novel so much! It deals with complex topics (the main character, Simon, is gay, closeted, and being blackmailed) thoughtfully but never depressingly, always keeping a positive outlook full of humor and hope. Simon is a fabulous main character, and his friends are awesome side characters (some of whom are featured in Albertalli's other books, The Upside of Unrequited and Leah on the Offbeat). Enter the giveaway using the form below. Do NOT enter in the comments. My policies on email addresses and nicknames are listed in the form. 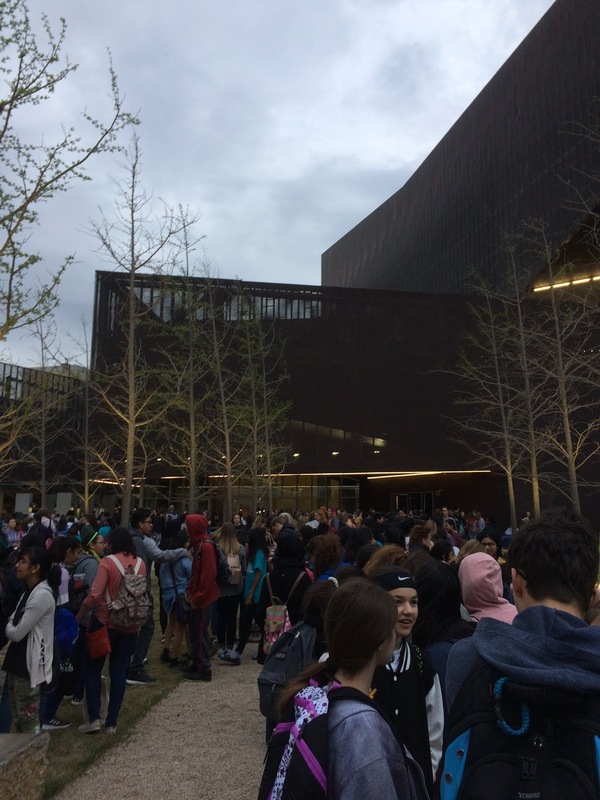 I will close the form on Tuesday, April 2. Since I must close the form manually, I cannot be sure at what time it will be closed, which is why I suggest that you enter earlier. I will accept any entries made before the form is closed, however. To ensure that as many people win something as possible, if five or more people enter the giveaway, no person will win more than one item. Do not select books in the form that you do not want (to allow those who do want the books to have a better chance of winning them). When the giveaway is completed, I will email the potential winners and ask for a mailing address (check your spam inbox). If you do not respond to my email with a mailing address within 48 hours, I will select a new winner. I find it fascinating that there are books that, for some people, are an essential part of their childhoods but, for others, are unheard of. My mother, a teacher, has recently been teaching some of her students a book that I adored as a child, Matilda by Roald Dahl. I don't think Matilda was as popular as some of Dahl's earlier books (such as Charlie and the Chocolate Factory), so, for MMGM, I have a Classic Critique of the novel that I hope will convince you to read it! 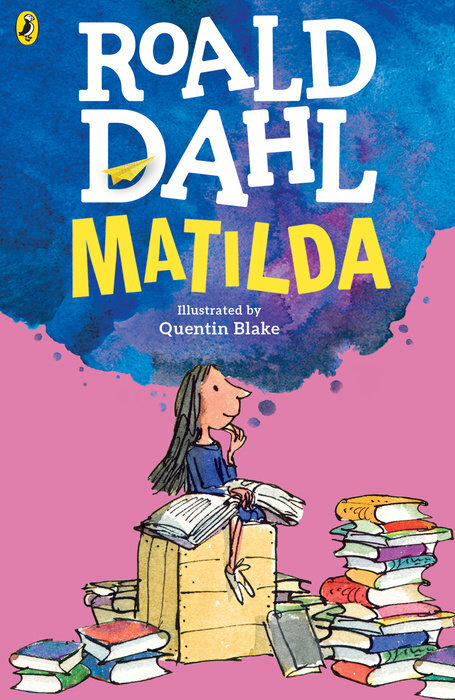 Matilda's main character is the eponymous Matilda, a five-year-old girl with incredible intelligence (she is smarter than most adults) and curiosity. Matilda is held back, though, by her mean, unloving, and unintelligent parents, who she plays pranks on at the beginning of the book. When Matilda starts school, she meets both her wonderful teacher, Miss Honey, and her evil, abusive headmistress, Miss Trunchbull. With Miss Honey, Matilda gets to learn beyond her grade level and have someone who cares about her, but with Miss Trunchbull, Matilda and her fellow students are harmed and terrorized. When Matilda discovers something about herself and something about Miss Honey, she devises a plan to save both Miss Honey and the other students from Miss Trunchbull. Matilda is an excellent main character. Whether you are a young child or an adult, you will love Matilda and even want to be her. The trials and tribulations that Matilda endures can be infuriating, but her smarts and wisdom always help her through as she takes charge of any situation. Although Matilda is only five, the knowledge she has acquired from reading numerous books and observing others makes her mature enough to be liked by older readers. The book is not too serious. Author Roald Dahl's books are usually filled with zany, wonderful exploits, and Matilda is no different. Watching Matilda get revenge on her parents through such methods as switching her father's hair products with her mother's silver hair dye filled me with a sort of giddy delight. The terrors that Matilda and her classmates face at school at the hands of Miss Trunchbull are unnerving and despicable, to say the least, but Dahl does a good job of making them just ridiculous enough not to traumatize young kids (such as when Trunchbull throws a student by her pigtails). The book is extremely deep. Although it never takes itself too seriously, Matilda is quite profound about children, parents, and education. Matilda is a child with an innate capacity for learning and discovery, but her parents could care less. They are too wrapped up in appearances and money to recognize how special their daughter is, and they actively discourage her from reading or demonstrating her intelligence (due somewhat to fear of her being much smarter than them). At school, Miss Trunchbull refuses Miss Honey's request that Matilda be moved up several grades, leaving her stuck in a grade where she knows everything being taught and more (although Miss Honey is nice enough to let her read higher-level textbooks in class). The struggles that Matilda faces mirror those of other children who have potential but are limited by those around them. I also felt that Miss Honey, who, Matilda discovers, had an abusive and emotionally toxic childhood, was realistically depicted as someone who struggled to leave her abuser behind before eventually breaking free (an idea surprisingly current for a book from 1988). The book is random and unrealistic at one small point. There is one place where Matilda goes off the rails, and that is when Matilda discovers that she has a supernatural power. If that sounds random, well, it is. In contrast to the beginning of the book, when Matilda uses her intelligence to get back at others, Matilda uses her newfound power to help others toward the end. Because supernatural powers are obviously not real, this development limits how relatable Matilda is and damages her characterization as someone who can get by with just her brain. 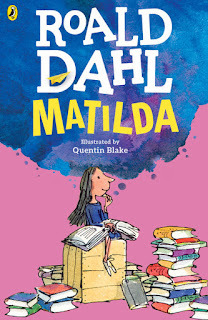 Dahl tries to tie this power back to Matilda's bottled-up brainpower at the end of the book, but it feels contrived. Although the last time Matilda uses this power is tremendously satisfying, and although it will most likely not bother younger children, I feel like it was a bit of a waste of Matilda and her more realistic capabilities. Despite Matilda's power not working for me as an older reader, I still adore Matilda. It is a book that is often wacky and hilarious but also deep, with complex lessons about parenting and schooling. Readers of all ages will appreciate different parts of the novel, making it a great book for a family to read together. Even if you read it by yourself, though, Matilda is a book that will make its way into your heart and make you wonder why you didn't read it years ago! 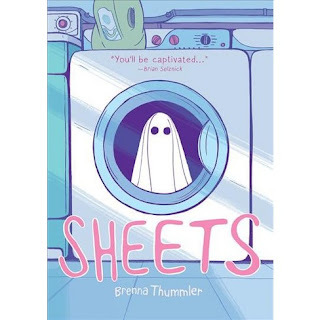 I've been reading a lot of graphic novels lately, so, for MMGM, I am recommending another one: Sheets by Brenna Thummler. Sheets switches points of view between two characters: Marjorie and Wendell. Marjorie is a 13-year-old girl who deals with regular middle-school problems, such as avoiding bullies and having crushes. However, she also has to run her family's laundromat, formerly run by her late mother. Taking orders from constantly disgruntled customers takes a toll on her, and it doesn't help that one (delusional) customer wants to buy the laundromat and turn it into a grand resort. Wendell, meanwhile, is a young ghost. He lives in the monotonous, gray (literally) Land of Ghosts, where he doesn't fit in with the other ghosts and suffers through an unpleasant support group for those who died young. Wendell runs away and finds Marjorie's laundromat, which, being a floating sheet, is extremely fun for him to stay in. However, as he inadvertently wreaks havoc in the laundromat and upsets its already-impatient customers, Marjorie has to keep her customers happy and keep her life together. One of my favorite parts of Sheets is how likable and realistic Marjorie and Wendell are. Marjorie's father has fallen apart from grief, leaving Marjorie as the de facto parent in the family. Her motivation to keep going, plowing through hardship after hardship as well as her own anxieties and feelings, makes her a great main character. Wendell, meanwhile, shows how a child might feel after dying so early. His feelings of loss of the life he could have lives, as well as worries stemming from his actual death, make an impossible character (a ghost) seem lifelike. Sheets is very melancholy, especially for its first half, but it is sprinkled with enough humor to keep it enjoyable. I also love how author Brenna Thummler has built an entire world through her illustrations. Houses have quirky interiors and many rooms, small businesses abound on every street, cars seem so realistic that I'm pretty sure I've seen them in real life, and the beautiful blues, greens, and pinks of Marjorie's world contrast with the dull grayish-blues of Wendell's. (Side note: why can't my neighborhood be filled with pink trees and their leaves?) Thummler's attention to detail makes Sheets seem like just an extension of the real world. If you enjoy books with realistic worlds, excellent characters, and great balances of humor and sadness, then Sheets is the perfect book for you (and everyone else)! I'm back for the new year! I've had an incredibly hectic two months, so I've barely had time to sit down and read much less write a review. However, now that it's winter break, I finally have a review! 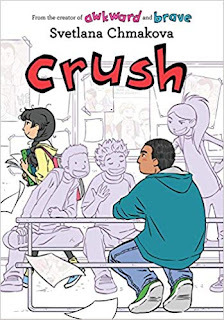 This week, I am recommending Crush by Svetlana Chmakova. You may remember that, back in July, I read the first two graphic novels in this series, Awkward and Brave, and wholeheartedly recommended them. I just finished reading Crush over the course of one day, and I think it may be even better than the first two! Crush follows Jorge, a side character from Brave. Jorge happens to be quite large for a middle-schooler, and he uses his size as a superpower, scaring bullies out of hurting their targets. Despite being somewhat terrifying, Jorge has two good friends from the athletic club at his school, Garrett and Olivia (or Liv). Most years, his life would be perfectly pleasant, but this year is odd. Jorge develops his first crush on a girl named Jazmine, and he finds himself unable to even speak to her due to sheer nerves. To make matters worse, Jazmine already has a boyfriend, Zeke, who hates Jorge and the other athletes. Garrett and Olivia are always fighting, and Garrett desperately wants to be part of a group of "cool" (mean) kids, led by another athlete named James. As the drama starts to spill over (and explodes in Chapter 9), it is up to Jorge to make the best of the endless trials of middle school. As with Awkward and Brave, the characters and story of Crush are incredibly lifelike. Even though I never knew what might come next in the plot, when it did happen, I always knew how the characters would react (even minor ones that we had barely seen). Jorge is an incredibly likable narrator, always trying to do the right thing and sometimes surprising himself with how much he is actually capable of. I also loved Jazmine, whose shyness belies her caring-but-not-a-pushover demeanor (as a shy person, I always love seeing a well-written one!). The story is built on many current topics that readers will recognize. Cyberbullying plays a major part in the later parts of the story, which shows just how many people cyberbullying can truly hurt. 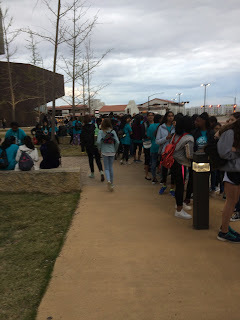 Coach Rashad also lectures her students in the athletics club before an upcoming dance about "body autonomy," or respecting other people's bodies and asking consent before touching, kissing, etc., an idea which comes into play several times later in the book. Finally, Crush still has author Svetlana Chmakova's expressive, adorable, beautiful art style, which just makes it even harder to put down! Crush is a book that any reader, in middle school or not, will love and remember for a long time! For MMGM, I am recommending The Secrets of Eastcliff-by-the-Sea by Eileen Beha. 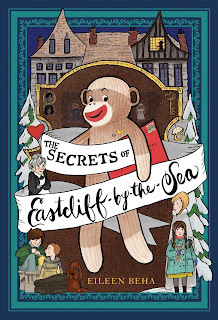 The Secrets of Eastcliff-by-the-Sea is told from the point of view of a sock monkey named Throckmorton. Ten years earlier, a wealthy woman named Ethel Constance Easterling sewed Throckmorton, her 49th sock money, and gave him to her new great-granddaughter, Annaliese, continuing a long-held tradition. Annaliese loved Throckmorton as a young child, but, all of a sudden, she stopped paying attention to him. But when Throckmorton's original maker sends out invitations to her 90th birthday celebration, which require that attendees bring their sock monkeys, Annaliese and Throckmorton happily reunite. Problems at Annaliese's home, Eastcliff-by-the-Sea, remain, however: she is still a lonely girl with a sad/angry father, a mother who left for reasons unknown to Annaliese, a nanny who doesn't fit in well at the home, and two siblings who are soon to be sent to boarding school, leaving Annaliese alone. In the days leading up to the big birthday celebration, Annaliese and Throckmorton learn more about what exactly is going on in the Easterling family, persevere through hardships, and prepare for the party, where several shocking events change both Annaliese and Throckmorton's lives forever. One of the best parts of The Secrets of Eastcliff-by-the-Sea is its characters. Throckmorton's third-person narration of the story does a great job of showing readers what it would be like to be a sock monkey, while Annaliese's remarkable personality allows her to keep going in her hard life, caring about others and bringing a spark of life to the world of the story. The story is rich with long-hidden family drama (which everyone loves when it isn't related to their families! ), tales and traditions, and mystery. Other characters are wonderful as well, such as Annaliese's great-grandmother, whose remarkable eccentricities and wisdom make her a compelling addition to the story. Finally, the ending of the novel makes the 300-page read absolutely worth it, tying up story threads realistically and happily! 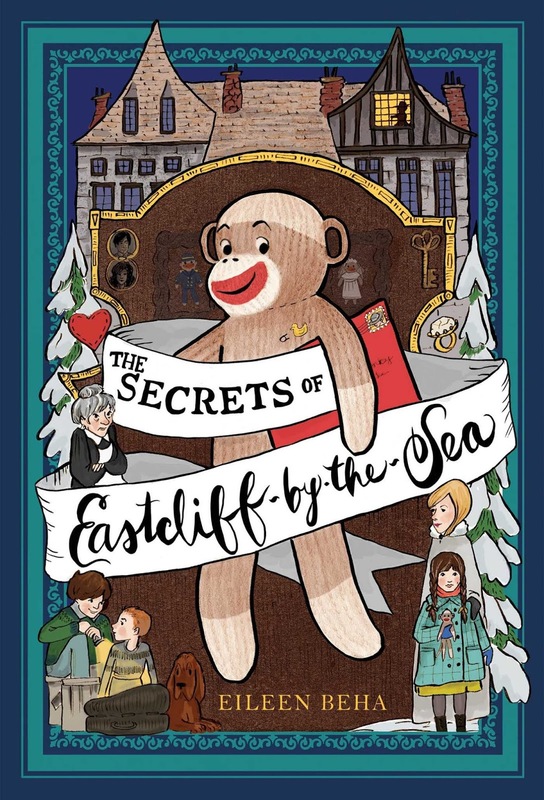 The Secrets of Eastcliff-by-the-Sea is a novel unlike any other, and readers young and old will adore the novel's fabulous characters, developed world, and hopeful and uplifting themes!